Home > View all post > How to choose an e-liquid with nicotine? How to choose an e-liquid with nicotine? Much like any other form of consumption that a buyer will do, there needs to be the selection of the perfect fit. If the user of an e-cig wishes to buy an e-liquid with nicotine then they will have to find the one that has the one that is just right for them. Not all nicotine users will require the same level of nicotine. This is one of the advantages of using the electronic cigarette over the normal cigarette; the smoker is able to regulate the amount of nicotine that they want to take into their system. Once the user has found the concentration of nicotine that is right for them, then the transition into e-cig usage will be must more enjoyable and simple. It has been a recommendation of health providers to choose similar concentrations of nicotine when making the change from cigarettes into the alternative product. This will not only make the change much easier but there are actually two particular reasons why this is advised. If the concentration of nicotine in the e-liquid is too low, then the user will do more smoking in order to compensate for the nicotine being missed. When the body becomes accustomed to a particular level of nicotine and then is deprived of this amount then the smoker will feel the need to smoke more frequently. This will result in the user actually taking in more nicotine than they normally would have, had they been smoking the regular cigarette. If the user is used to the normal strength cigarette and then changes to the electronic cigarette but chooses a nicotine strength that is too low, then they will smoke more in order to compensate for the nicotine withdrawal and the body’s craving. When the body craves more nicotine than is being provided by the e-cig then the user will feel like the e-cig is not working. This may cause them to go back to regular cigarettes in some cases when all that was needed was an adjustment of the amount of nicotine in the e-liquid. ? There is also the opposite problem of the nicotine in the e-liquid being too strong. 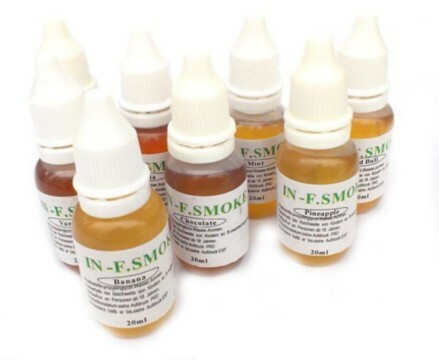 If the user is accustomed to a low intensity cigarette and then chooses an e-liquid with full strength nicotine, then they will become overwhelmed. The body will become overloaded with nicotine as it will be exposed to a higher concentration than it was used to with the tobacco cigarettes. When the nicotine enters the throat, it may be too intense and cause the user to feel lightheaded. This may also result in the distaste for the e-cigarette altogether when all that needs to be done is change the level of nicotine in the e-liquid. This is why it is vital for a user to choose the right nicotine level when using the e-liquid. This will keep them satisfied and will have them feeling more relaxed. Finding the right nicotine level may take more than one try but finding the best fit will be worth it.